Since the announcement that the Capcom team would be working on remakes for all of the Resident Evil games, fans have been excitedly waiting for the release of Resident Evil 2 and Resident Evil: Nemesis with the new game mechanics. The story of Resident Evil 2 is a direct sequel to the mansion horror story of Resident Evil. 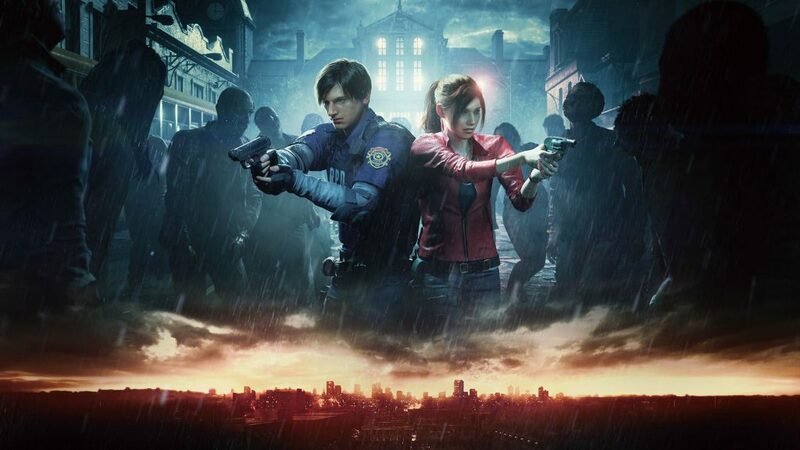 Rookie cop Leon S. Kennedy arrives for his first day on the job in Raccoon City to find a viral outbreak has turned the people (and animals) into flesh-eating creatures that will attack you without provocation. Stumbling upon this scene is Claire Redfield whose brother was part of the original STARS mission into the mansion. Claire has been unable to reach her brother after she heard about the mission and has come to Raccoon City to find him…only to be saved by a rookie police officer and forced to quasi-team up to find their way out of the mayhem. This remake is great news for fans who have been excitedly wanting to return to Raccoon City. The game has been entirely rebuilt from the ground up. 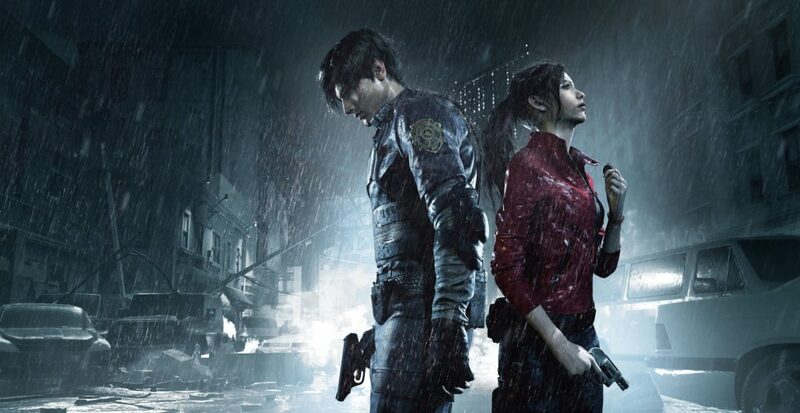 This means we will see a fully rendered Raccoon City as we explore with Claire, Leon, and Ada. We also get the modern mechanics of the Resident Evil series, featuring an over-the-shoulder camera, modernized controls, and gameplay modes from the original game. While they have left the design similar to the original game, Capcom says not to be fooled by the similarities. There are surprises for new and old players alike scattered throughout the game. The game is going to feature brand new character models for its key characters. Claire gets a younger make-over, riding a 1998 Harley-Davidson Night Train with a license plate reading J2198 – the original Japanese release date for Resident Evil 2. Claire wears jeans and biker boots now, rather than her shorts and biker leggings. She’s now sporting a full utility belt, complete with pistol and holster. Some things didn’t change, however, and Claire still sports her signature biker jacket with the classic “Made In Heaven” embroidery. Ada Wong’s new character model makes her look even more mysterious than she did in the initial release. Ada sports large sunglasses and a trenchcoat, looking more practical and definitely more like a secret agent than ever before. While she teams up with Leon who sports his classic Raccoon City Police uniform with a much younger face model than his previous incarnations in RE4, RE6 or any of the movies he has been seen in. Capcom made the decision to hire new voice actors for the game, which has been a point of controversy – mostly because one of the longtime voice actresses announced it via her Twitter, rather than Capcom themselves. The original voice actors, some of whom have portrayed the characters for 21 years, were not invited back for the release. Capcom chose to use unknown voice actors who make their appearance in the game. We haven’t seen a lot of the voice acting yet, but what has been shown has been solid and gives the characters a younger feel than the voice actors who have grown with the original characters. The Capcom team has confirmed that fan favorite, and infamously difficult, extra modes will return from the original game. The 4th Survivor, which allows players to play as Hunk returns and allows players to escape the city as the Umbrella corp operative with limited ammo and hoards of monsters. Tofu survivor uses the same Hunk scenario…however, you play as literal tofu and are armed only with a knife trying to escape the city. There is a 30-minute demo out now for PC, PS4, and XBox One. Known as the “1-shot Demo”, you will have 30-minutes to complete puzzles and fight zombies as Leon. It is important to note that you ONLY have 30 minutes to play the Demo. After 30-minutes, you will no longer be able to access the demo, unless you download it on a separate account. Completing the full demo unlocks a previously unreleased Cinematic Trailer for the game. The game has multiple editions, including a GameStop exclusive collector’s edition. Prepare for your return to Raccoon City quickly! Resident Evil 2 makes it Remake Debut on January 25th. The Sinking City Packs Quite a Punch!